The theory of inclusive fitness predicts that people can maximize their inclusive fitness by reproducing with someone of the same race. Such reproduction maximizes the number of genes that one can replicate. Thus, it’s unsurprising that peoples’ natural tendency will be to reproduce with someone of the same race and have their own biological children. Luckily, even this unhealthy obsession has set off the political left, well, at least a sanitized criticism of said obsession. The NY Times has a recent piece on the Evangelical adoption racket by Kathryn Joyce, entitled “The Evangelical Orphan Boom.” Although this article is dressed out with all the requisite politically correct disclaimers, it’s quite a good article, and a book is soon to follow. As Christianity becomes a ghetto religion…. As Christianity becomes a Non-Western religion in much of the world, we can probably expect to see more of the following. The real question: How much longer until white liberals experience cognitive disconnect? Typically today, white liberals give lip service to science and evolution (although they practice liberal creationism), and in the white liberal’s mind the biggest barrier to progress is other whites, esp. religious white rednecks. In reality, proportionally and absolutely many more blacks and mestizos oppose evolution on a global scale, which is unsurprising given their lower average IQs (evolution is a subtle theory). White liberals, however, do not view blacks and mestizos as true competitors, so white liberals focus their hatred against religious whites. But as the USA becomes more of a brown, Third World country, it will only become more and more apparent that the brown masses are in fact the biggest opponents of scientific understanding. Idiocracy cometh. Blowhard Mark Shea comments on this post, unintentionally giving weight to the very thesis expounded above. I’ve always found it telling that American conservatives have gravitated toward Straussian thought (e.g. see popularity of the Closing of the American Mind), which is really just re-packaged extreme liberal universalism. For instance, for Bloom, the #1 boogeyman is “historical relativism,” which translates as no ethnic identity for Westerners (although, of course, it’s allowed for Israelis), and unsurprisingly short-sighted American conservatives eat it up. Strauss & Bloom retell Western history as a war of good (universalists) vs evil (historical particularists). If you are a good conservative, the implication is, then you must submit yourself to the great matrix of universalism. In short, Straussian thought is just another facet of the Cathedral. I’ve been so preoccupied for the last few weeks teaching new courses on logic & ethical theory & intro phil that, until today, I missed the latest issue of Radish! Suffice it to say (if you didn’t already beat me to it): do not pass go, do not collect $200 – click on the link and go straight to Hell Radish. The topic is libertarianism’s racism problem. Long. Wordy. Brilliant. Too many quotes from Thomas Carlyle, but, hey – that goes with the territory. Since I still think of myself as something of a libertarian, I will need to respond, at some point. Let’s try & unpack that, now. If you’re an evangelical atheist, determined to defend at any cost the elimination of purpose, meaning &c as fundamental features of the world and to explain them away in terms of the motion of physical particles in accordance with ultimately purposeless, meaningless natural forces, than Darwinism comes as a God-send – because it seems, at least at first glance, to explain away what is, seemingly, the most purpose-, & meaning–ridden phenomenon of all – i.e., life itself, in purely mechanistic terms. Even human beings, with their beliefs, desires, fears and all the rest of it are really just complicated machines. But is there any particular reason why Darwinists need to insist on the ultimate lack of final causation in their account of the evolution of life? Would it cost them anything important to embrace final causation as part of their explanatory toolkit? Well, what, exactly, does the notion of final causation entail, anyway? According to Edward Feser, this is what it entails: “for the Aristotelian, final causation or teleology…is evident wherever some natural object or process has a tendency to produce some particular effect or range of effects. A match, for example, reliably generates heat and flame when struck. and never (say) frost and cold, or the smell of lilacs, or thunder. It inherently “points to” or is “directed towards” this range of effects specifically, and in that way manifests just the sort of end- or goal-directedness characteristic of final causality, even though the match does not (unlike a heart or a carburetor) function as an organic part of a larger system. The same directedness towards a specific effect or range of effects is evident in all causes operative in the natural world. When Aristotelians say that final causality pervades the natural order, then, they are not making the implausible claim that everything has a function of the sort biological organs have, including piles of dirt, iron filings and balls of lint. Rather, they are saying that goal-directedness exists wherever regular cause and effect patterns do.” (Aquinas, pp. 17-18). So for a modern Darwinian to admit final causation into his explanatory toolkit, all he has to do is agree that particular genes in particular circumstances have a tendency to produce some particular effect or range of effects and not others – that they are directed towards those effects as towards a goal, and that this goal is really real, and not some sort of illusion or delusion that needs to be explained away. In return for this admission, he earns the right to talk all he wants to about the struggle for survival, the functions of organs, the selfishness of genes, & so on & so forth, without apology. So what’s not to like? For the life of me, I can’t see any good reason for the Darwinian not to agree to this bargain. I suspect this might approach the truth, which is fine for Rosen to admit but if a Goy were to say the same thing…. Oh, boy…. Obviously, you won’t hear it from the mainstream media on the eve of another Zionist war. Just heard someone on NRP yammering on about terrorism. If Western countries want to end most terrorism in the West, here’s cheap and simple solution: Deport the Third World from the West and end all Third World immigration into the West. It’s the inverse of Sailer’s manta: Quarantine the Third World / Deport the Third World. And as Israel is deporting and sterilizing African immigrants, they demand that Western countries roll out the welcome mat for Syrian refugees. Interview with Alexander Dugin on Syria crisis. Is Contemporary Christianity Suicidal for the West? This is what Brownback does in his spare time; he’s even teamed up with George Clooney to attempt to achieve some of the above goals. Of course, Brownback is not alone in these goals, as they even extend to prominent Protestants like Richard Land, John Piper, and Russell Moore. Christian Cultural Marxism is the norm among nearly all sects of Christianity in the West. More recently, the ever maudlin Rod Dreher was praising the likes of Caleb Stegall, representative of a new type of “crunchy-con localism”. It’s interesting that for these religious conservatives “localism” seems only to extend to baseball and BBQ, and not the traditional understanding of ethnos or gens, as Stegall made a legal practice of representing whites who tried to steal black babies from Haiti (because Jesus told them to do so). 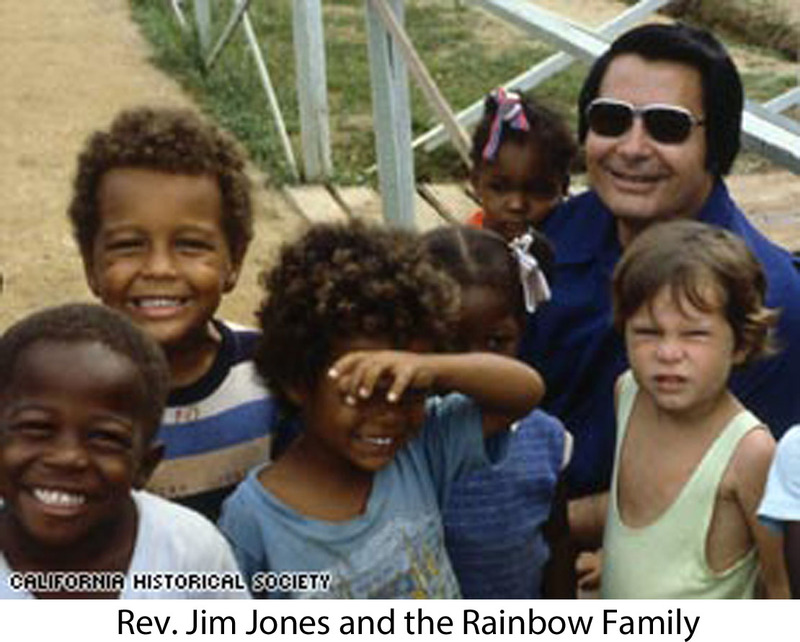 Jim Jones’ notion of the Rainbow Family, extreme during its day, is now the norm for many mainstream Christians. In short, the modern system is set up to reward whites who encourage pathological altruism and whites to reduce their inclusive fitness, and Christianity is a major player in this system. Anyone who doesn’t see this is willfully blind or a liar. Is there any hope that a new, pro-Western form of Christianity could arise, or is Christianity in the West doomed?